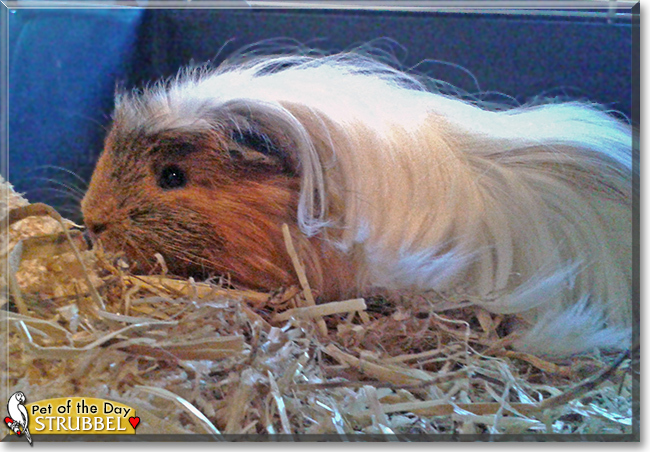 "Strubbel the Long-hair Guinea Pig, the Pet of the Day - November 30, 2015"
My name is Tim, and I present you my guinea pig: Strubbel. He is 20cm long (almost 8 inches). He has brown to red fur, and the white hair on him grows very long! We sometimes even have to trim it, as it can get hay caught in it when it gets too long. Strubbel is one year old and very sweet. I love Strubbel because he always wants to play "hide and seek me in my cage" with me! He is a friendly guinea pig, and is a very nice pet. I love him. Talk about Strubbel in Pet Talk!